Teeth with chips, cracks, gaps and other aesthetic issues can make even the happiest person uncomfortable with their smile. If you live in Hudson County, New Jersey, and want to make your teeth look shiny and complete again, you might be a candidate for dental bonding. Dental bonding involves applying, fitting and drying into place a tooth-colored resin material to cover up flaws in the tooth. To find out how dental bonding might be able to help you advance the beauty of your mouth, please call The Practice at Maxwell Place today at 201-792-9400. Dr. Frank DePaola is happy to see patients in or around Hudson County. 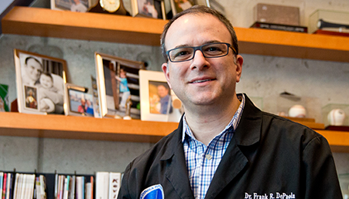 Dr. Frank will discuss specifics of your case during your appointment. Generally speaking, though, ideal candidates for dental bonding will have reasonably healthy teeth, providing an adequate, stable surface area to mold the resin. Chewing hard food items such as ice cubes, sucking candies, popcorn kernels, fruit pits, etc. It’s important to continue practicing good oral hygiene and maintain a checkup schedule with your dentist after dental bonding. Dr. Frank can not only give your teeth a professional cleaning, but ensure that dental bonding is keeping your smile spectacular. To learn more about your dental bonding candidacy, please contact The Practice at Maxwell Place using the form at the right side of the page or call 201-792-9400 today to schedule your initial appointment. 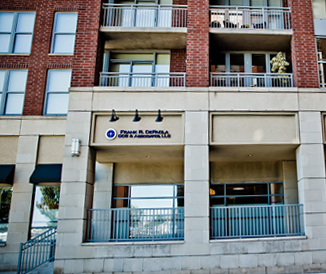 Dr. Frank serves patients throughout Hudson County, including Hoboken and Jersey City.